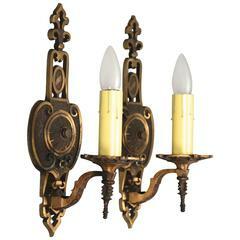 Single sconces with original gold tone finish, circa 1920s. 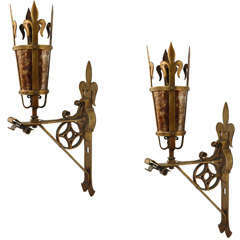 They are in very good condition with very light signs of use expected with age. Newly rewired and ready to install. 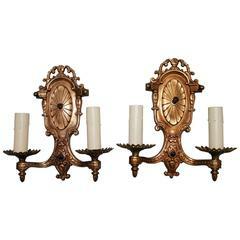 Pair of finely cast sconces in a warm golden tone, circa 1920s. 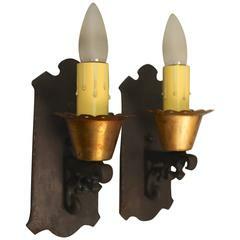 1920s pair of American made sconces with notched backplate and floral motif. 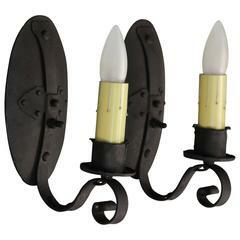 1 of 3 single all original 1920s single sconce with polychrome sconce with beautiful casting. Sold and priced individually. 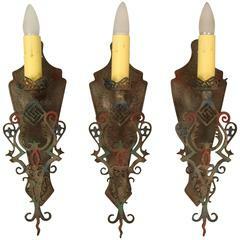 Single Spanish Revival Sconce with original polychrome finish. 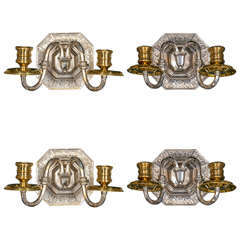 1920s darkened brass single arm sconce ending with a ram head supporting a milk glass shade. 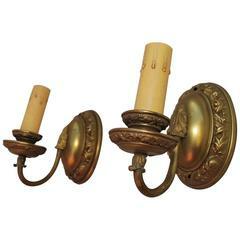 Beautifully wrought brass sconces from France. New mica. 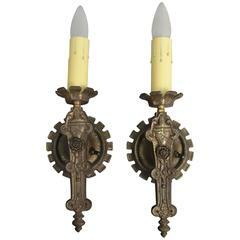 Pair of Caldwell silver plated sconces, featuring a ship design, circa 1920s. 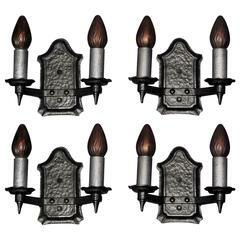 twelve available, priced per pair. Will be newly wired upon purchase. 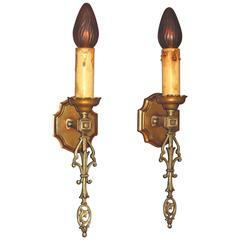 A pair of c.1920's Caldwell sconces. 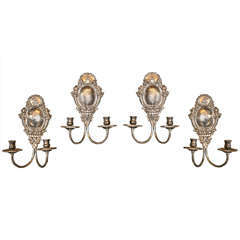 Four available, priced per pair.